Saves time and money in processing. 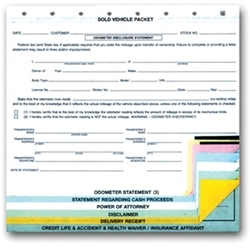 Contains a multipart odometer statement with each additional statement clearly identified for easy distribution. Premium grade carbon for legible copies on all parts.